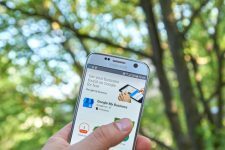 These days a small business needs online reviews as well as a strategy to get them. There are a number of ways to collect reviews; however faking reviews online is never recommended. So how do you collect online reviews for your small business? First, by asking, it’s that simple! And second, by making it easy for customers to leave reviews by telling them where to go and how to do it. By asking the customer some simple questions and listening to their feedback, this allows you to act on it right away. It’s a great way to solicit customer feedback and collect email addresses for future communications. Include a strong call-to action link or button within the email containing instructions for how the customer can leave you feedback. Phone calls are a great way to solicit direct feedback from your customers. 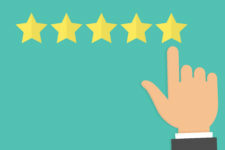 In addition to thanking them for their business, you can kindly ask the customer to share their experience with your business in the form of an online review. Broadly has found sending a follow up email to be the most efficient means to gather customer feedback because it is comfortable for your clients to reply. Your customers can simply click links within the email to leave reviews where you need them most, Yelp!, Facebook, Google, or even your website. This is what we do at Broadly and we can do it for you as well! 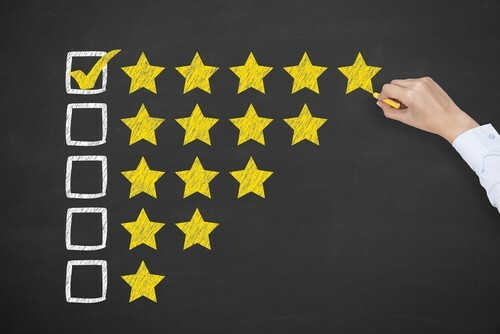 Potential customers want to read your reviews, so make sure you have a strategy to get them.